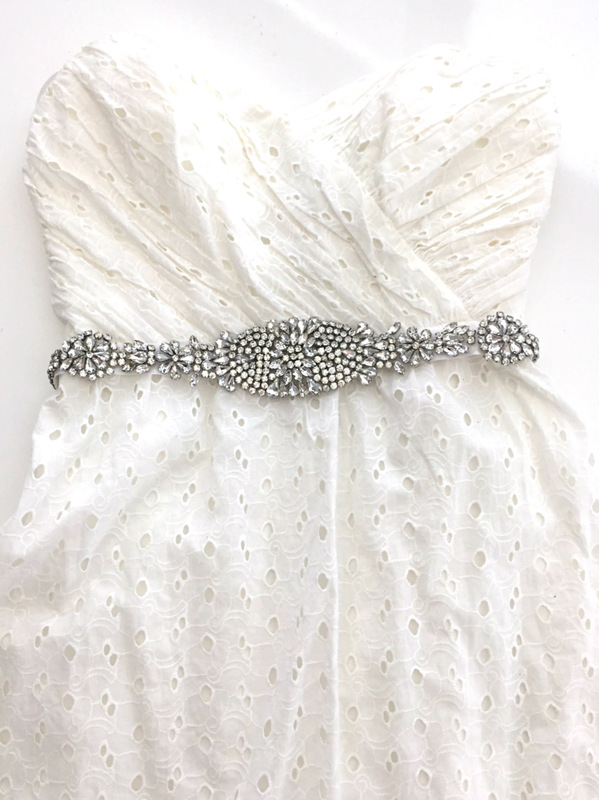 Tags: bridal belt, crystals, rhinestone belt, sash, white satin. Introducing Delphine, our first crystal rhinestone jeweled bridal belt. Beautiful round and teardrop shaped crystal rhinestones are hand-sewn together creating a dramatic look. 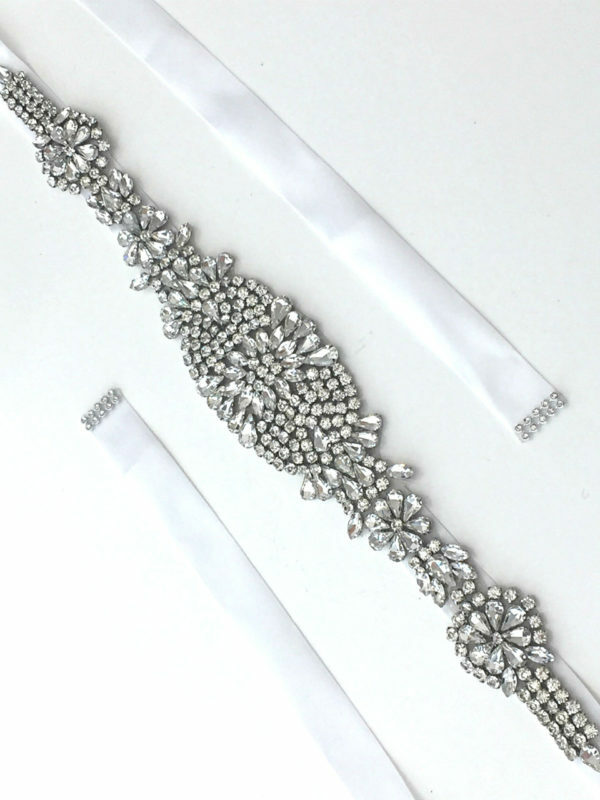 Add this gorgeous bridal belt to accentuate your wedding dress to create that extra drama and bling. Belt is available in white satin. One size fits all.